Twitter has been the main source of micro-blogging communication for brands, their customers and followers. People use the powerful network to leave feedback, send information, images, and updates. New changes to the character count could allow for more room to share content and opinions. Not everyone is embracing the idea of longer tweets on Twitter with many users accustomed to making quick updates. 1. Longer comments including usernames and links. After the recent change to longer DM’s (direct messages) in Twitter a similar approach would apply to the character count in links. This would allow for longer sentences that would include hyperlinks and usernames. Brands could benefit from this change as they share their content and respond to customers. 2. Retweet with comments. Back in April Twitter made this change official. Now users and brands can share other tweets and add their own comments while keeping the original information in tact. 3. Reach a wider audience. 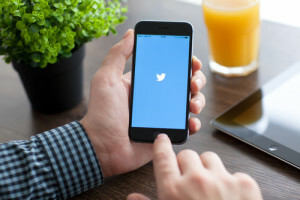 The proposed character limit extension on Twitter may help the company and brands reach more followers. The change is intended to make tweets more attractive and encourage retweets. 4. Build and encourage engagement. With more variety that would be offered in longer tweets brands can mix up their content more and make these stand out to their followers with the use of videos or images. A story can be more easily conveyed in an extended format. While everyone is watching and waiting for this anticipated change brands for now should be trying out the new retweet feature on Twitter and planning ahead for the expected changes. Longer tweets could provide a better way to convey a message; however, it is still too soon to tell whether users will embrace the new concept.